Homepage » E-cigarettes encouraging smoking in teenagers? E-cigarettes encouraging smoking in teenagers? Smoking tobacco has always caused oral health problems and many dentists would like nothing more than to see the habit wiped out. The arrival of electronic cigarettes (e-cigarettes), which contains no tobacco, was thought by many to be a positive step in this direction. However, new research has suggested that this may not be the case, with e-cigarettes potentially contributing to the take-up of smoking tobacco among teenagers. Researchers at the Center for Tobacco Research and Education showed a clear correlation between increased e-cigarette use and increased tobacco use. The researchers found that, over the course of a 12-month period, the number of teenagers in general using e-cigarettes doubled. If the devices were purely used as an alternative to smoking tobacco, the amount of teenagers doing so would be expected to fall. However, the number actually increased by almost 50 per cent. 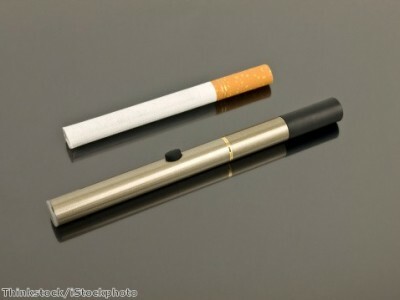 This shows that e-cigarettes are not necessarily working to deter teenagers from smoking. However, the results also suggest that the devices are acting as a gateway to the bad habit, with teenagers starting off on e-cigarettes before moving on to the real thing. Dentists can do a lot with their dental marketing material to warn patients away from smoking. There are plenty of facts that should act as good reasons not to smoke, from the discolouration of smokers’ teeth to the high risk of developing oral cancer. Dentists should work hard to encourage teenage patients not to take up any kind of nicotine habit. ‘No Smoking Day’, organised by the British Heart Foundation to help smokers kick the habit, will be held on March 12th. Meanwhile, the BDHF is also running ‘National Smile Month’ between May 19th and June 19th. These two events can be used to encourage patients not to take up smoking in any form.